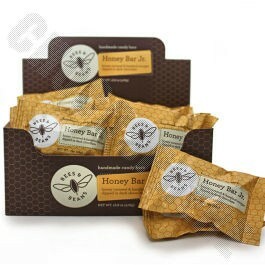 The perfect bite containing honey caramel, hazelnut nougat, dark chocolate, and a sprinkle sea salt. 2016 Good Food Awards Winner! Premium sugar and dairy, fine chocolate and crystalline flakes of Jacobsen Sea Salt create the layers of Honey Caramel and Hazelnut Nougat.